Yes, we’re halfway through the week and just a few days until the weekend, aren’t you excited? 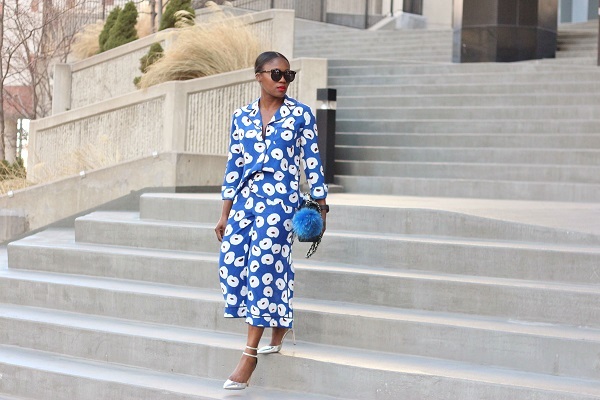 Well, I am and to show I have no mid-week blues, how about blue floral with today’s post? 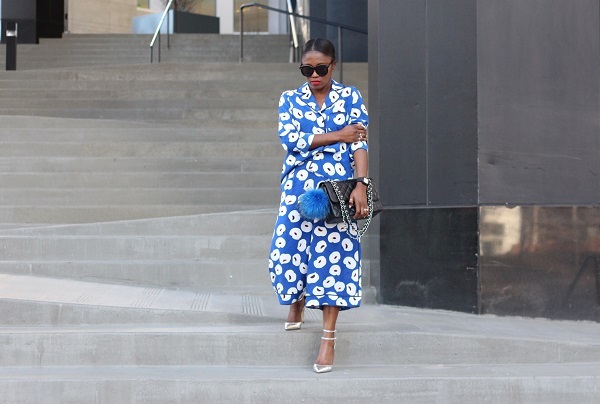 I am such a fan of print done just right not to mention co-ord pieces, hence today’s look. This look is fun, classic and vibrant; so I opted for the black bag to break the bold hues. 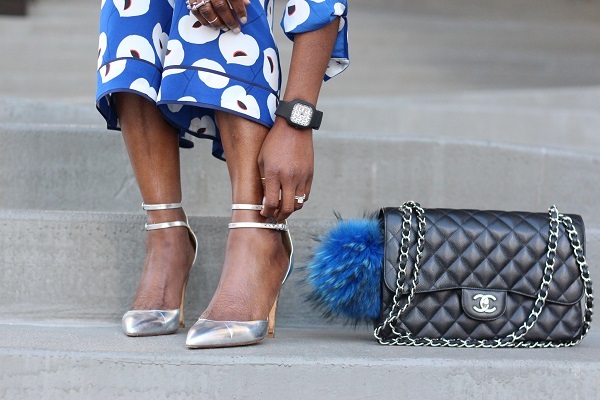 And yes to the metallic heels, a great alternate to white or black heels to keep up the eccentricity in the look.